Gene Therapy for Myocardial Infarction: A Real Medicine in the Next Millenium? prevention of myocardial infarction by NFкB decoy ODN. The use of genetically modified cells for the delivery of recombinant molecules has emerged as a powerful tool for ex vivo gene therapy. For the application of ex vivo gene therapy to cardiac diseases, we examined the potential of cell grafting into the intact heart. Of importance, survival of myocyte grafts was observed in the noninfarcted and border-zone areas but not in the infarcted area. Targeted expression of recombinant molecules in intracardiac grafts could induce a beneficial response in the myocardium. Another potential target is the essential transcription factor, NFкB, as NFкB plays a pivotal role in the coordinated transactivation of cytokine and adhesion molecule genes. In vivo transfection of NFкB decoy digodeoxynudeotides (ODN) into the coronary artery before as well as after reperfusion resulted in a marked decrease in the infarcted area. We have reported the first successful gene therapy for myocardial infarction using NFкB decoy ODN. 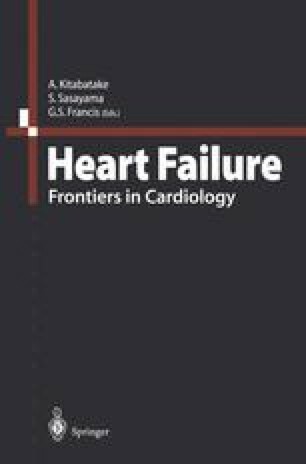 In this chapter, we also discussed the future direction of gene therapy for myocardial infarction.